Hi, I am your go-to guy if you want to get things done in Vietnam. I prepare you to work with factories and introduce you to them. May I help you connect with flat bed screen printers in Vietnam? This flat bed screen printing factory in Vietnam produces 20,000 meters/day. They have 4 x 12 color machines managed by 100 workers. They have been in the business for 15 years. They get their inks locally - mostly Korean or Taiwanese inks. The print using water based inks both direct and reactive. Their MOQ is 3,000 meters and the price is approx. $2.5/kg. They can print on both cottons and polyester fabric. They print their own films and make their own screens. They have both washing and drying equipment. Thai Son S.P recommends them as the best Flat Bed Screen Printing factory in Vietnam. Because Thai Son S.P has good relations they can do as little as 1,000 yds MOQ. They offers both roller and flat bed screen printing in Vietnam. Thai Son S.P is not a flat bed screen printing factory in Vietnam. They are a sewing factory that outsources screen printing. If you are looking for a flat bed screen printing factory in Vietnam then Thai Son knows many to get your order processed. Their strength is men, women and children knitwear garments that have embellishments like embroidery, prints, appliqué, sequins or stones. They can do water based prints, discharge prints and plastisol prints easily. Wether piece print or all over print (AOP) Thai Son S.P knows all the screen printing factories in Vietnam. 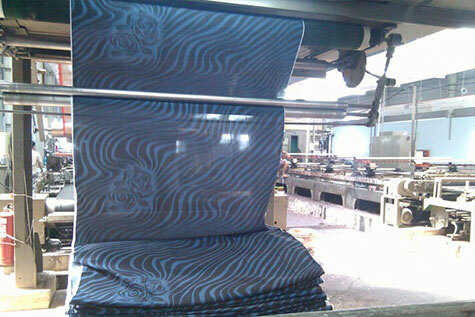 Are you sourcing a flat bed screen printing factory in Vietnam? If yes, then contact us below with your inquiry.